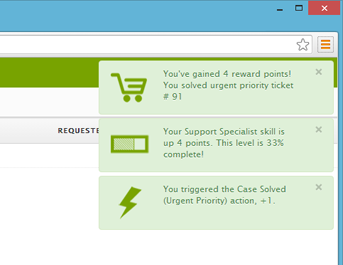 Automatically issue badges, certs, skill points and virtual currency to your Zendesk agents when they do great things. "Zendesk", "Contact Center", "Customer Support", "Enterprise Gamification", "Employee Engagement"
Engage and reward your Zendesk agents for doing great things. Award badges, certs, skills points and even virtual currency to your agents. 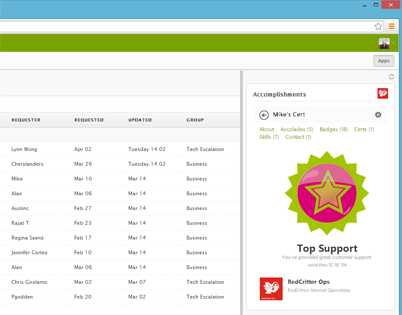 RedCritter for Zendesk can be configured in minutes. 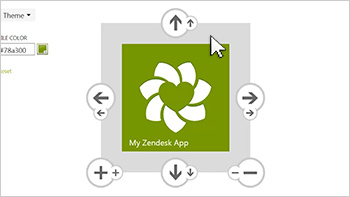 Enhance your agents' Zendesk profiles to include badges, certs, skills and more. RedCritter Profiles for Zendesk embeds surfaces all your agent's accomplishments and even encourages peer-to-peer recognition. Agents can view other agents profiles and send accolades in a couple of clicks. Give your agents a real-time recognition and rewards feed that lives within your Zendesk site. Agents will also receive real-time notifications for their achievements. 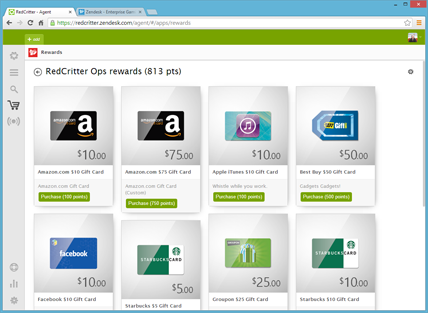 With RedCritter you can easily create and manage a gift card or virtual rewards program for your agents. 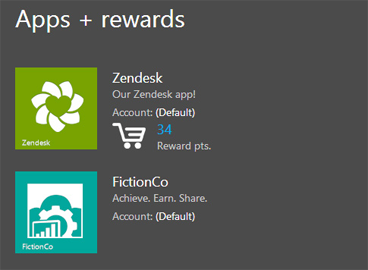 Your Zendesk site and other business systems can issue virtual currency, then as your employees earn points they can spend them on gift cards you approve for your rewards store. You set the value of your virtual currency. Follow along to integrate recognition and rewards into your Zendesk.